Having up-to-date, advanced security features can give you peace-of-mind. If you need to keep your facility secure, then you need an advanced security infrastructure that will protect your assets. Here at FiberPlus, we offer a wide range of security features that add crucial layers of security to your property. Here are just a few of the features we offer. 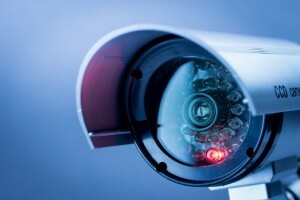 Video surveillance help you to keep an eye on your facility, even when you’re not there. Our video systems can be accessed remotely so that you can check in on your facility at your convenience.This can be especially helpful and time saving if you have multiple locations. It’s also a great help when you can’t travel to your facility, such as when a hurricane or snowstorm hits. Simply get in touch with us, and we’ll help you to choose the best video surveillance system for your property! We offer a comprehensive intrusion detection system that integrates all aspects of your security. So, if an alarm goes off, you’ll be able to quickly check the triggered area remotely with live footage from your video surveillance system. We’ll also help you to make sure your system is tested and updated semi-annually. If you don’t want just anyone to walk into your facility, then installing an access control system gives you much higher security than simply having an administrator keep an eye on the entrance. Using RFID cards, only authorized individuals will be allowed access to your facility. You can even take it a step further by closing off certain wings or sections that are only accessible to higher level staff. This kind of careful control gives you safety and peace-of-mind. This entry was posted on Monday, October 17th, 2016	at 5:32 pm	. You can follow any responses to this entry through the RSS 2.0 feed. Both comments and pings are currently closed.